During the early morning of Saturday November 3, 2018 God called the most beautiful angel home, Mrs. Diana McCully. 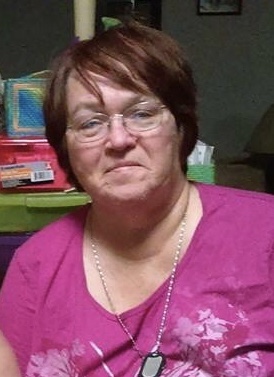 Diana McCully, a resident of south bend, Indiana passed away at the age of 66 at Saint Joseph Regional Medical Center, mishawaka, Indiana after prolonged medical issues. Diana McCully was born on October 8, 1952 to the late Melvin & Joanne (?) McCallum. Diana was married to Duane Charlton McCully in south bend on December 31, 1986 who precedes her in death. Diana dedicated her lifetime to caring for her children, grandchildren, and great grandchildren who call her ‘Nana’ as well as her parents later in their lives. Diana is known to having the biggest heart and always cooking for everyone. Surviving are three daughters: Christie (Robert) McCully-Hawkins, Autumn (Rickey Parker) McCully, and Melanie McCully all of South Bend; one son, Charlton (Krystal) McCully of Niles, Michigan; eleven grandchildren, Marcel McCully, Katrina McCully, Avery McCully, Seirra Jackson, Alexis Jackson, Amarion Parker, Elizabeth Brooke, Alexander McCully, Decarie Hawkins, Caylee Hawkins, and Alana McCully; five great grandchildren; two sisters, Bonnie Koch and Maureen (James) Childress of south bend, Indiana; one brother Brian McCallum of south bend, Indiana; and a long time best friend, Vita (James) Johnson of Missouri. A viewing will be held Thursday, November 15, 2018 from 6 to 8 PM at Alford's Mortuary. Services for Mrs. McCully will be held Friday, November 16, 2018 at 12 Noon.